Get instant and secure access to your accounts, deposit cheques, pay your bills and transfer money with the Provincial Credit Union mobile banking app. View your account balances onscreen without even having to log in, convenient for when you’re standing in the checkout line. 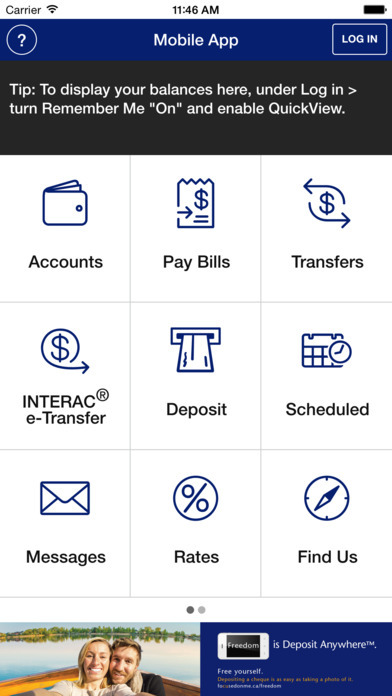 Use INTERAC ® e-Transfer to send money securely via email or text. View messages and important notifications from the Credit Union. Pay us a visit using the Branch/ATM locator utilizing your phone’s GPS. Access financial calculators without the need to login in to the mobile banking app. 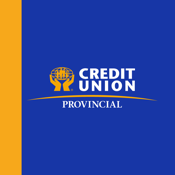 If you install the Provincial Credit Union mobile banking app, then you must review and are subject to the terms and conditions found on our website, and the Membership Terms and Conditions that you would have received when your account was opened. If you would like to obtain an updated copy of the Membership Terms and Conditions, please contact us.